The PPSSPP emulator has been available on Android for a while, but up until now it was still technically a beta product. Today the project has come out of beta, now marked as version 1.0. The latest version brings a coat of polish to the PPSSPP experience for those that previously were using the beta. There’s also a ton of graphics glitch fixes and other bug fixes that should result in a more stable experience. As you can imagine, the better your device the better PSP games will play through this emulator. That said, PPSSPP doesn’t limit itself to high-end devices and can be installed on any phone or tablet with Android 2.3 or higher, though it also needs to support OpenGL ES 2.0. PPSSPP is offered in two flavors: a free version that is ad-supported or a “gold” version that removes advertising and costs $5.99. Of course, as with any emulator, you’ll need to provide your own ROM/ISO files in order for this to work and the use of the emulator essentially falls into a gray area when it comes to its legality (it all boils down to how you obtain the game files). 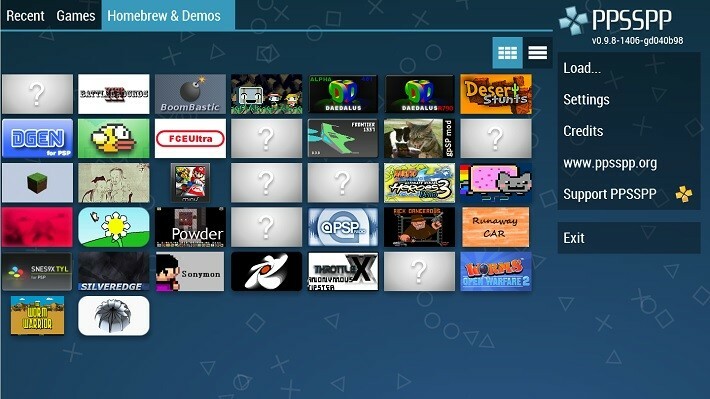 Anyone try PPSSPP 1.0 yet, if so what do you think of the latest version so far? 14 best Android emulators for PC and Mac of 2019! 5 best NES emulators for Android!